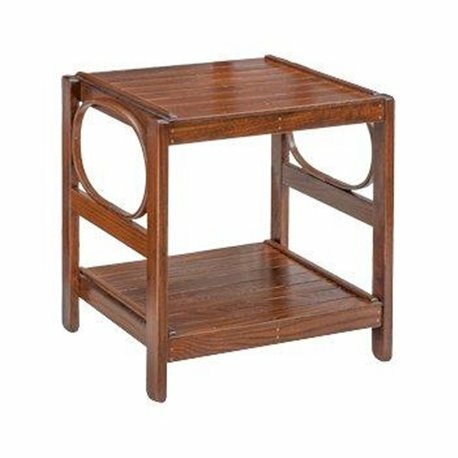 A gorgeous handcrafted 2 tier rectangle End Table created from Oak wood, stained in Michael's Cherry, and then finished with a heavy duty Clear Lacquer for longevity and durability of the piece! This gliding ottoman is unique and will become the perfect addition to any seating area! Light to Medium Brown color with a straight, coarse grain. 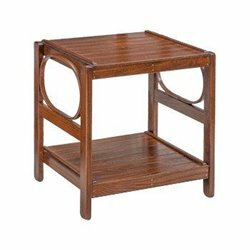 Very Durable and strong wood with rot resistance. If using outdoors, place only in a covered area! Exposure to the elements is NOT recommended. This item will ship via Ground.